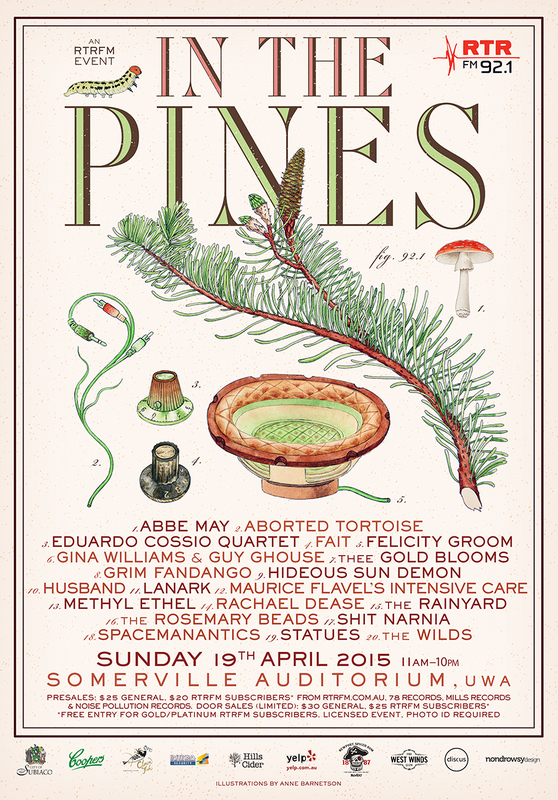 Perth’s iconic In The Pines festival returns for its 22nd year on Sunday, 19 April 2015. RTRFM’s flagship event will feature 20 of Perth’s finest live acts across two stages, in the lush green surrounds of UWA’s Somerville Auditorium. 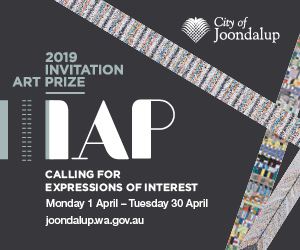 For over two decades, In The Pines has celebrated WA’s incredible pool of musical talent, by programming the best in local emerging and established acts. Let us know you’re coming by joining the Facebook event! In The Pines is the perfect autumn day out to spend with friends and family, with eleven hours of live music, plus a delicious array of food and drink options on offer so you can picnic in style (strictly no BYO alcohol, unsealed containers or glass). For those who can’t make it on the day, In The Pines will be broadcast live on your radio from 11am-10pm, so you can catch everything as it happens from your couch, car or backyard. WHEN: Sunday, 19 April 2015, 11am-10pm. DOOR SALES: Limited tickets available from 11am on the day. $25 for RTRFM subscribers and $30 for general public. This is a licensed event, valid photo ID required. Under 18s must be accompanied by a parent/legal guardian. Children under 12 are entitled to free admission. Individuals 12 years of age or older will require their own ticket. *Strobe lighting effects will be used during Fait’s performance.